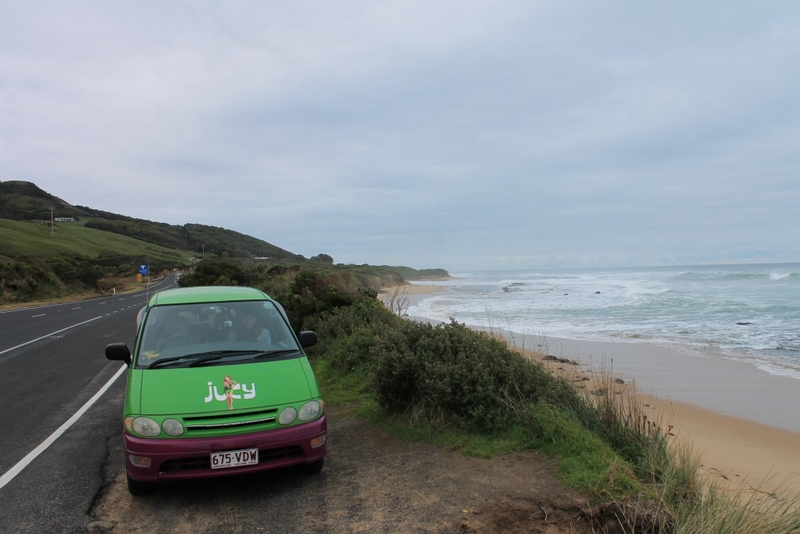 We rented a JUCY campervan because of its low price of $33AUD/night which came with all inclusions like a bed, fridge, stove, sink and kitchen utensils. It’s not just a car; it also became our home on the road. The home where we cooked our meals, slept and even wrote this blog post. Starting from Brisbane, we picked up the van, hit Charlie’s Fruit Market for vegan and organic grocery supplies and a Moo-Free burger. In the afternoon we drove straight on into the Gold Coast hinterland to Lamington National Park. 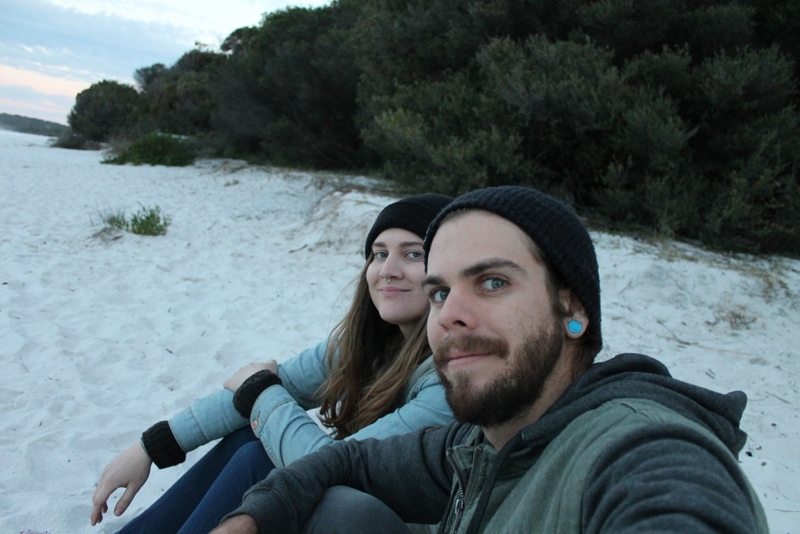 Here we stayed in the pristine Green Mountains campgrounds, surrounded by grazing wallabies and hiking trails and cooked our first dinner out of the van, a veggie-loaded pasta with vegan Parmesan. Driving on, our next stop was the famous Byron. 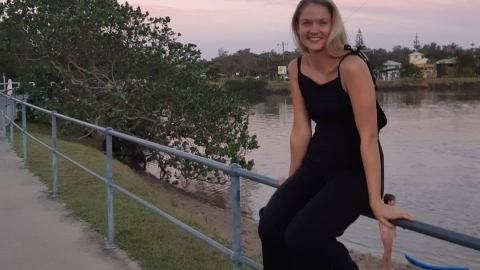 Here we camped one night at the Ballina Rest Stop, a free truck stop with toilet facilities, and one night at Byron Holiday Park, a high-end caravan park with lovely facilities. 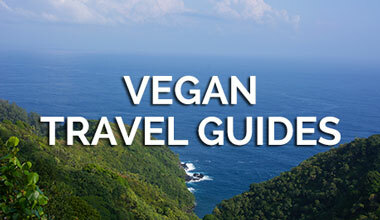 Byron is popular for beautiful beaches and vegan food. 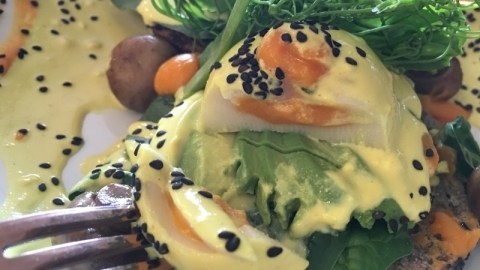 We dined at Elixiba, The Beet, Santos Organics and replenished our organic supplies at Fundies Wholefoods. If it’s in your budget, I’d recommend staying at Byron Holiday Park for the lovely bathroom, kitchen and power facilities. It’s a five to ten-minute drive to anywhere in town and is also home to a resident Kookaburra and koala. 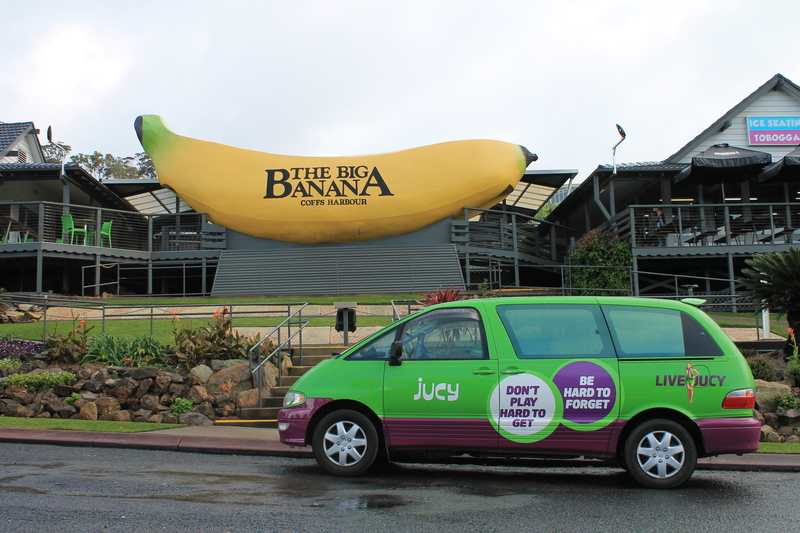 After Byron Bay, we rolled down to Port Macquarie, a stunning coastal town halfway between Byron and Sydney. Here we parked at the beach to use the public toilet facilities and woke up to a near-secluded water front. Port Macquarie is home to the adorable Koala Hospital which is a free educational sanctuary. 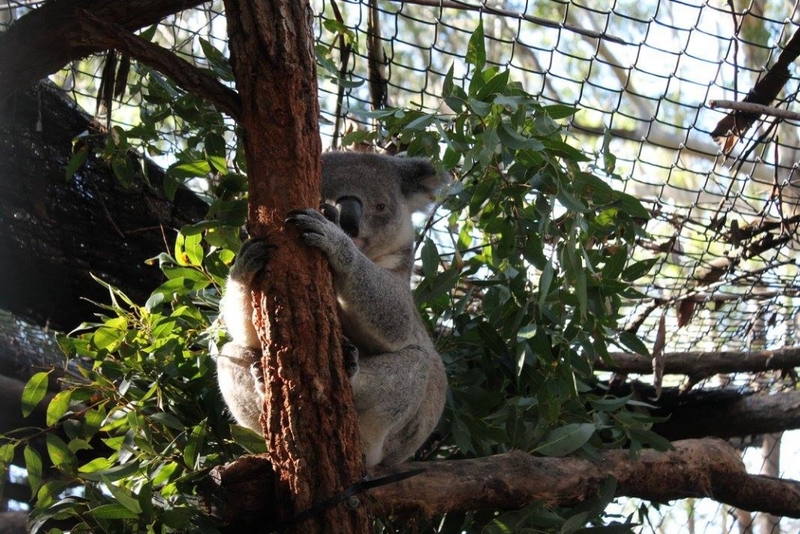 You can see some of the koalas in their enclosures, learn about the dangers facing our koala population, and leave a donation if you can afford it. After the Koala Hospital, we drove straight down the highway to the big kahuna, Sydney. 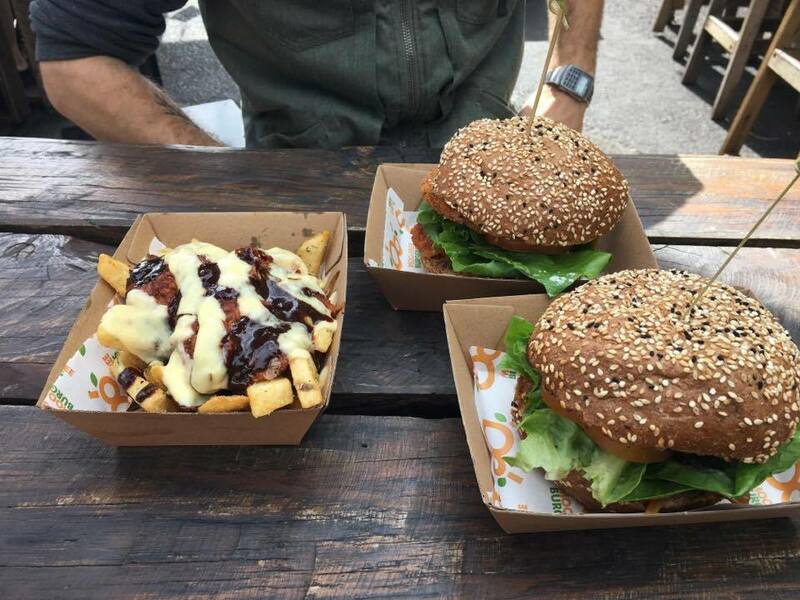 One of the most famous cities in the world, Sydney is not just beautiful, it’s also full of vegan options! On night one we slept in a friend’s residential street to use her shower, and on night two we slept in a car park on the beach in Maroubra. 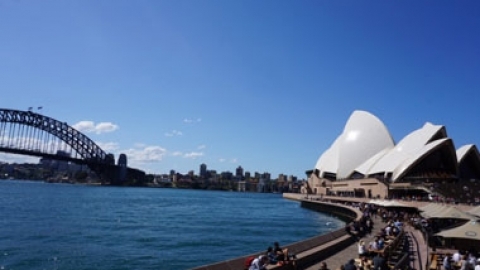 Taking plenty of time to sightsee Circular Quay and the Bondi to Bronte beaches during our days. Does anything beat an Aussie sunset!? 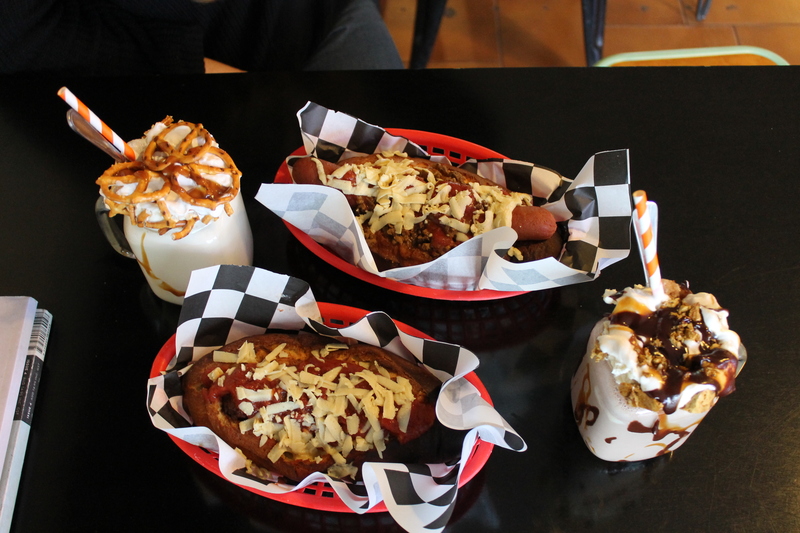 We dined at OM Vegan Kitchen, Gigi Pizzeria, Bliss and Chips, Soul Burger and Nalinis Wholesome Streetfood. 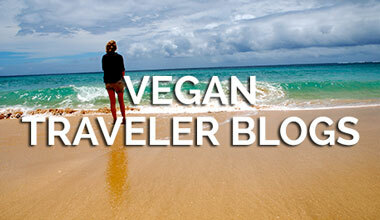 Hardly a dent in the vegan eateries available! 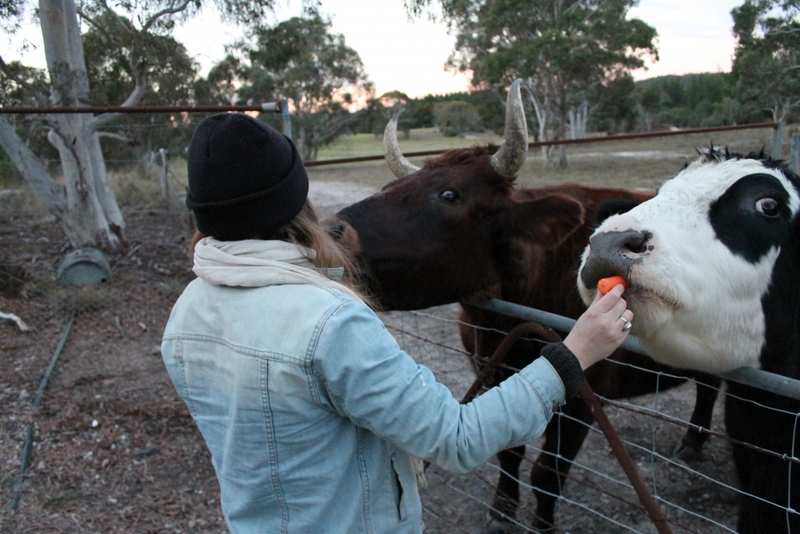 Next up was a 2.5-hour drive into rural NSW for a night at Peanuts Funny Farm. 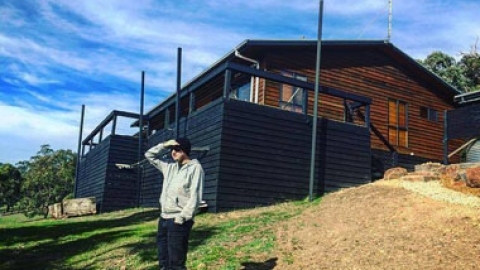 This is a vegan animal sanctuary that works with disadvantaged kids near Goulburn. Run by Tracey and Mick, the B&B stay is in their home and includes home cooked meals and a tour of the animals that live on the farm from Boots the cat to Milly the pig. They are a wonderful vegan non-profit doing great work; you can follow them on Instagram at @peanuts_funny_farm or find more info on their website at peanutsfunnyfarm.org.au. 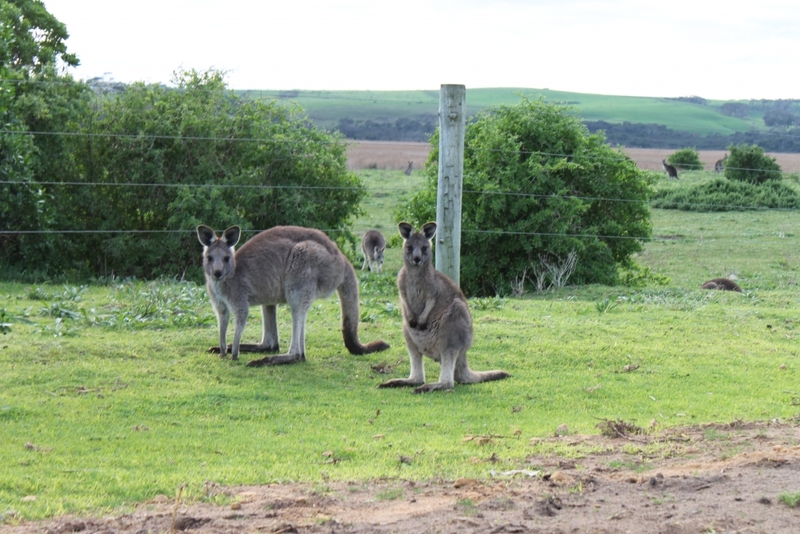 Over the next two days, we made the journey from Jervis Bay to the Mornington Peninsula. We stopped the night to sleep alongside the famous Snowy River from Aussie folklore. It was a lot of driving, so we made plenty of stops. We used the time for errands such as laundry! We pulled up in a town named Moruya where we even found a protest in support of refugees and a local market. 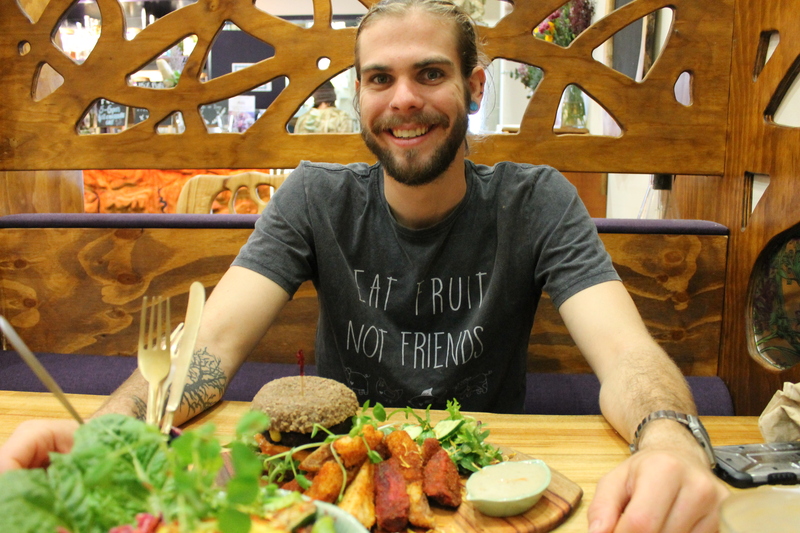 In Mornington Peninsula, we visited the vegan Wombat Café before motoring on through Melbourne and around the bay to Geelong where we spent the night. 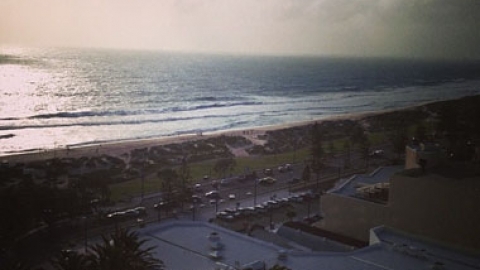 Geelong is a beautiful little place with sea baths. We spent some time exploring the city, running errands and doing some shopping. And it was from Geelong that we found ourselves beginning the famous Great Ocean Road drive the next day. After finishing our sightseeing of the rock formations, we were back on the road for the drive to our final destination! We set the GPS to Ascot Vale, Melbourne and drove straight to Mister Nice Guys, a vegan bakery! From here we spent the night parked on a suburban street and finished off our van groceries. D-Day. The day we returned our JUCY van after a drive to St Kilda where we stopped at both Sister of Soul (vegetarian) and Matcha Mylkbar (vegan) for breakfast and coffee. With the food tour being far from over, we dined at the vegan Chinese restaurant Gong de Lin in the CBD before catching The Book of Mormon musical! That night we crashed on my sister’s couch. 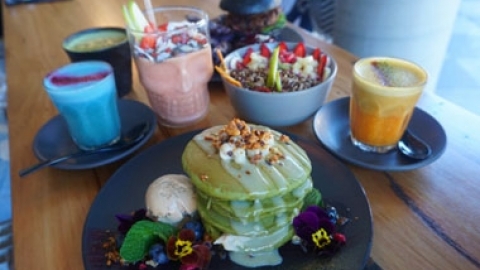 Exhausted from two weeks of travel, day 15 of our trip started off slow by ordering UberEATS from Simple Seed Eatery, a vegan café in South Yarra. 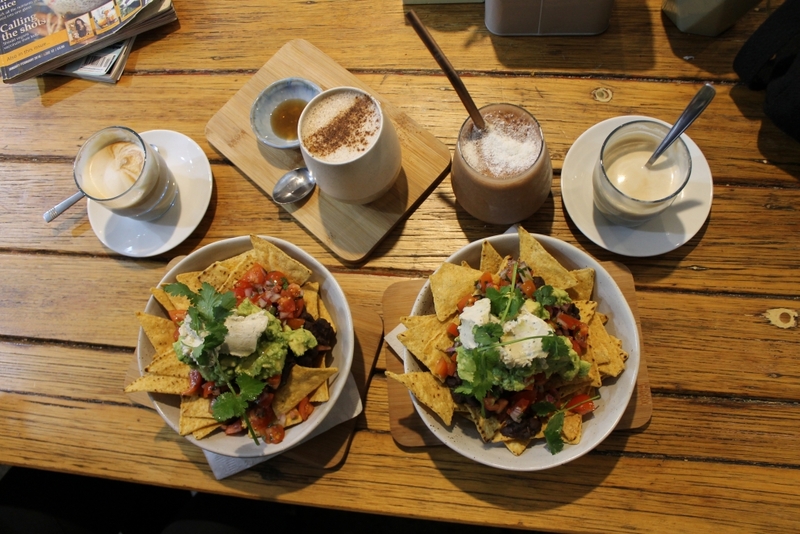 Then later in the afternoon, we checked into an Airbnb in Fitzroy, the vegan HQ of Australia. We spent the afternoon and evening eating Lord of the Fries (vegetarian burger and fries chain), sightseeing in the CBD and arcade games at PLAYTIME Crown. 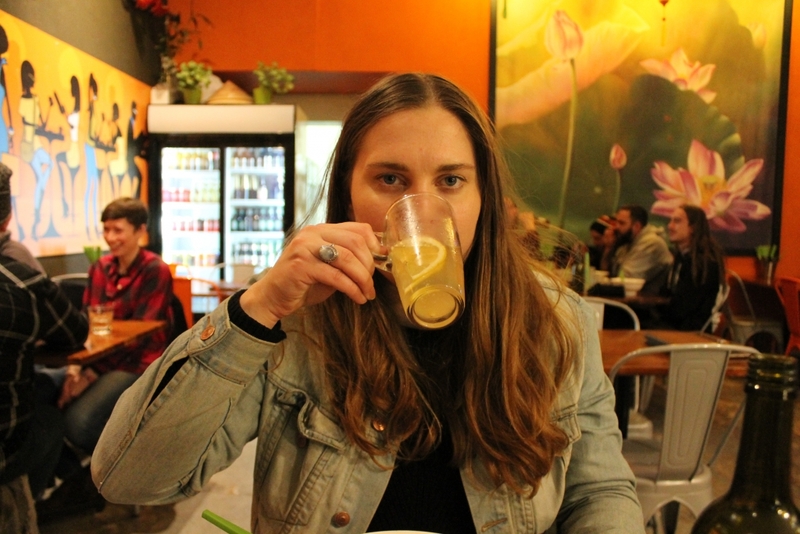 We capped off the day with dinner at Fina’s 2 Vegan Restaurant on Brunswick St, Fitzroy. (Where we tried durian for the first time!). For our last full day of vacation, we made sure to pack the food in. 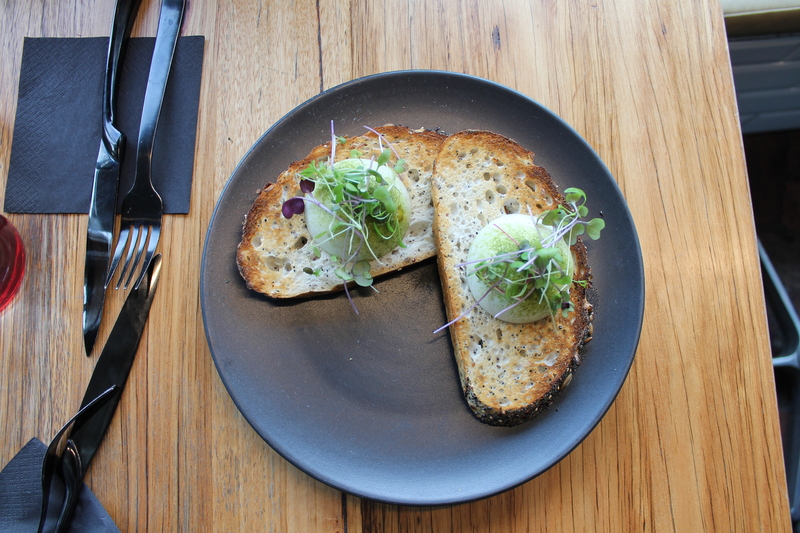 Our morning started with brunch at Smith & Daughters, Melbourne’s #1 restaurant of 2016, which also happens to be completely vegan! The rest of the afternoon included Thai massages, cake tasting, local markets, independent book stores and a vegan doughnut. 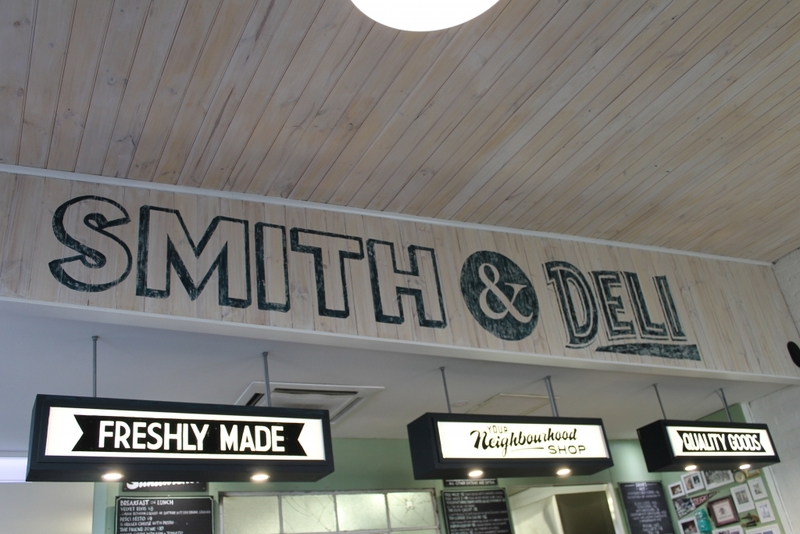 For lunch, we chose Smith & Deli, the famous vegan takeaway joint around the corner from Smith & Daughters and ate our sandwiches in the park down the street. In conclusion of a great trip, we dined at the all-vegan Red Sparrow Pizza on Smith St, Collingwood. Australia is a pretty cool country. 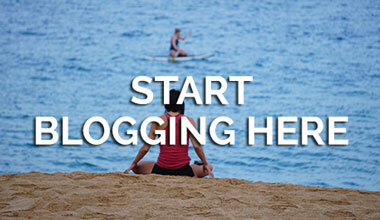 From the beach to the countryside to mountains to metro cities, we got to see a wide cross-section of what’s on offer. 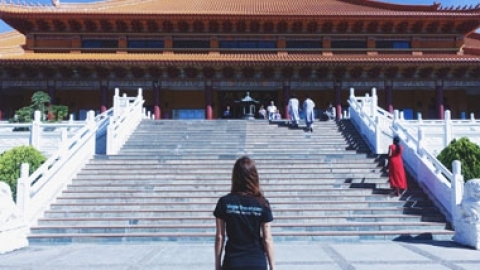 Veganism is becoming more popular. 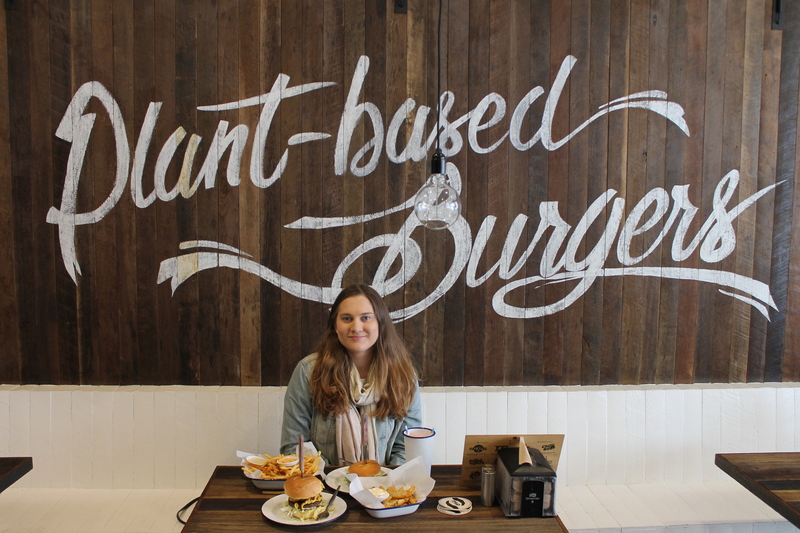 Melbourne is absolutely an up-and-coming vegan capital of the world. But what we learned was that even in the most rural animal agricultural regions, you could at least rely on finding soy milk!